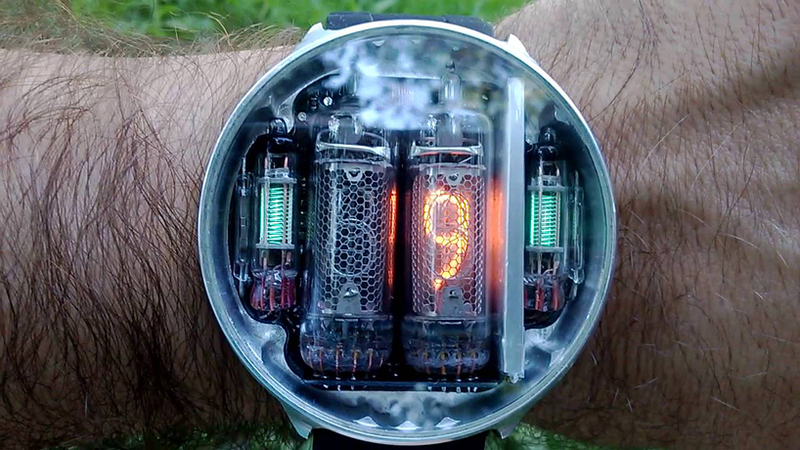 NIWA’s nixie tube timepiece merges past and present with retro technology enclosed in a sleek aluminum case. 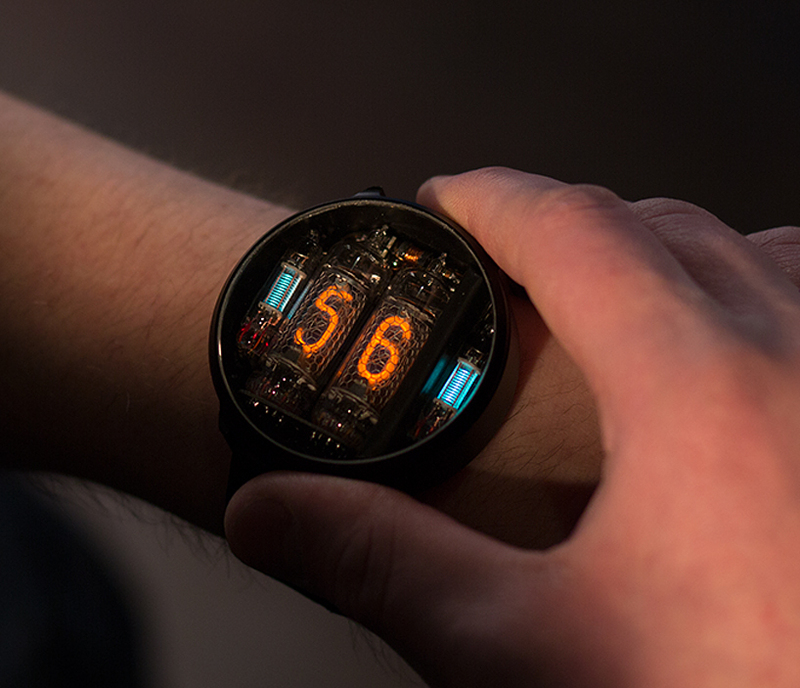 Already renown for their Nixie Tube clocks and iPhone docking stations, NIWA have downsized their delicate components into an eye-catching watch that measure just 55mm in diameter. 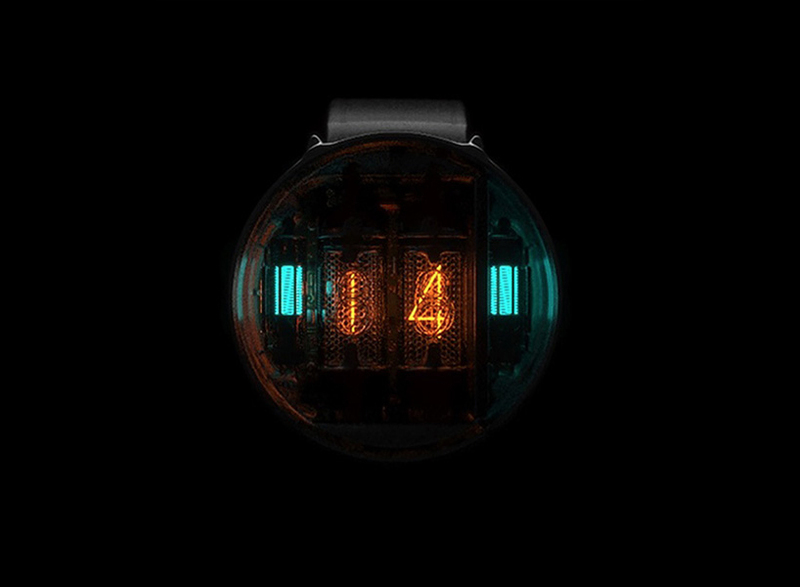 Nixie Tubes, which NIWA employ to form the face of the watch, are an old electronic device used to show digits. The tubes work in a similar way to the neon signs that they closely resemble. Each tube contains ten decimal digits made out of negatively charged wire. These are arranged in a stack, one in front of the other, and enclosed inside a sealed glass bulb filled with neon gas. Each tube also contains a positively charged wire mesh. When electricity is applied to each number, the wire lights up, producing a soft orange glow reminiscent of a neon sign you might find outside an 80’s diner. Unlike most digital displays, the wire numbers are typographically designed and shaped for perfect legibility. The delicate tubes are enclosed within solid, andonized cases made from aircraft aluminum. 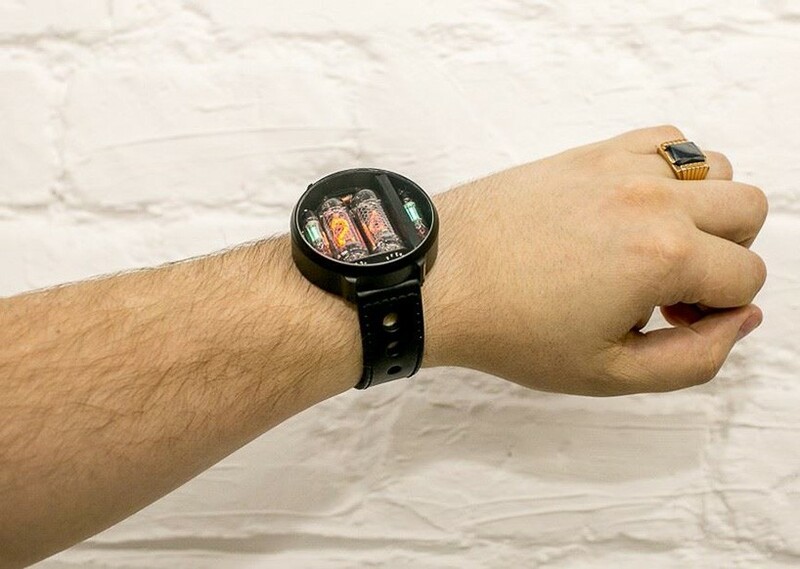 The watch has two reed buttons, and comes with a magnet which must be used to set the time. It’s not all old-school mechanics however, since NIWA use a gyro sensor to save power. 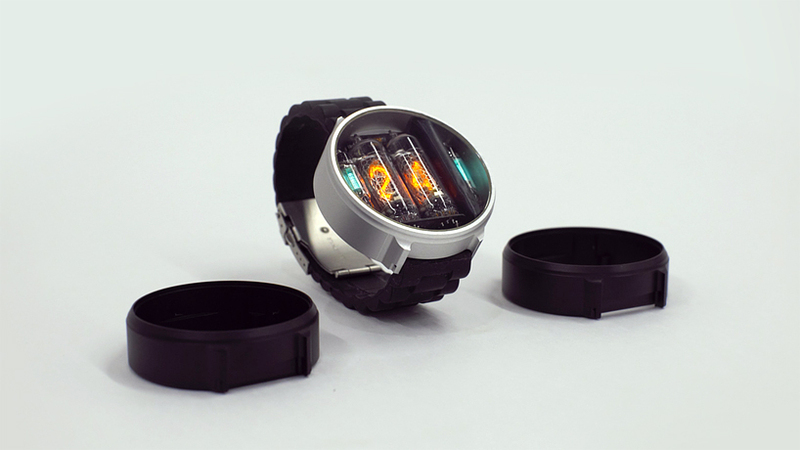 This means that the watch lights up only when you move your arm to check the time. The tubes produce no noise or heat, and use very little energy. 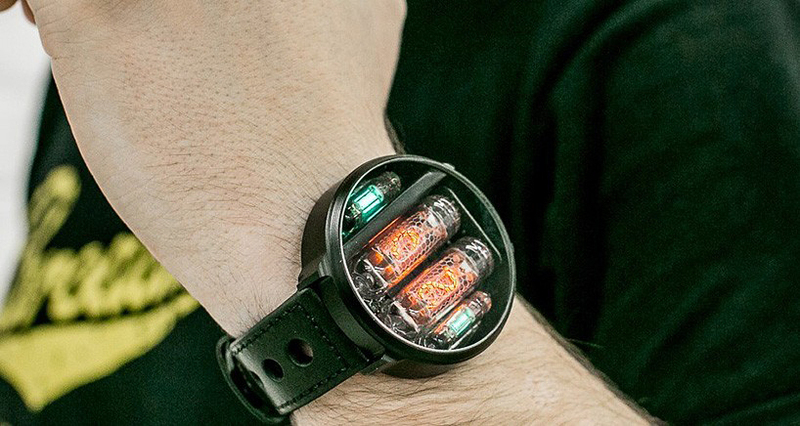 Should the battery run down, the timepiece comes with its own USB-powered docking station for charging. 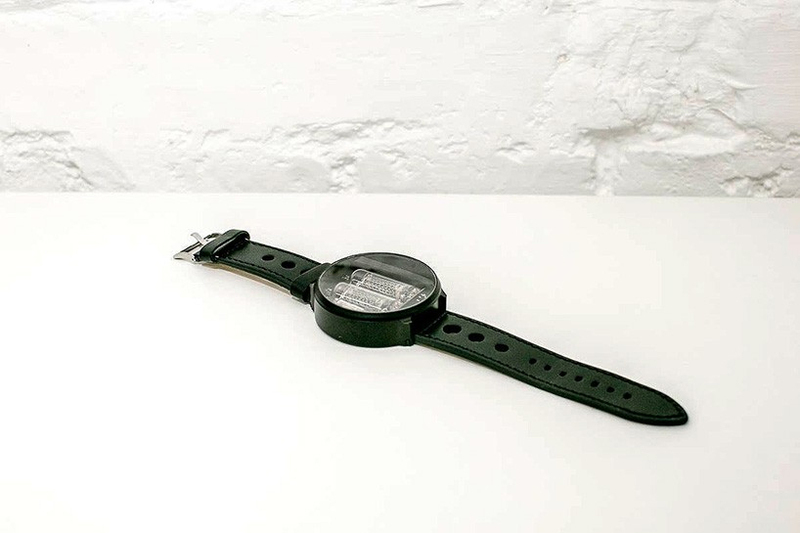 Given its delicate chemical components, NIWA has granted a lifetime warranty for the watch and all its pieces. 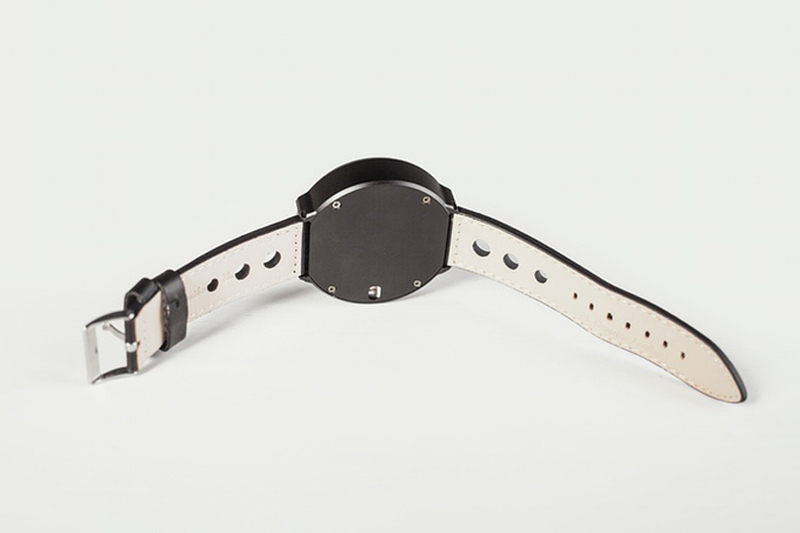 The watch is available in grey and black colors with anodized aluminium cases. 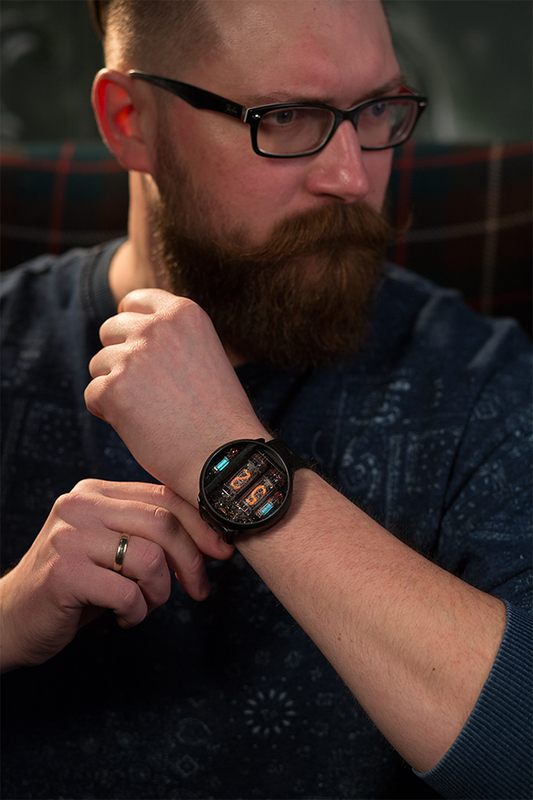 You can check our other post about black watches for men.